The health benefits of bone broth are many. Almost every culture throughout history has used bone broth to make easily digested, healing soups and stews. Chinese medicine uses bone broth for boosting the immune system, supporting digestive systems and building blood. The term “Jewish penicillin” is used for chicken soup, known to inhibit cell inflammation and fight off cold symptoms. And your great-grandmother most likely made bone broth soups and stews often to keep sickness at bay. Bones from healthy, pasture raised animals are filled with a rich array of powerful nutrients that are released into the water when simmered at a low temperature. 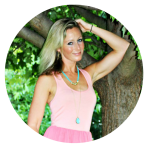 Have you heard the term leaky gut before? Basically a leaky gut is when your intestinal lining becomes too permeable (leaky) and allows undigested food particles and disease causing bacteria to leak from your gut and into the bloodstream. When this happens your body sees these innocent food particles as a foreign invader and starts to attack itself. 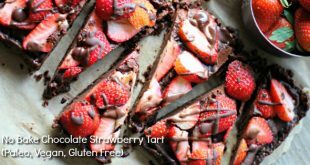 Leaky gut shows up in the form of food allergies, autoimmune conditions, asthma, skin conditions, digestive disorders, chronic fatigue and more. A leaky gut, also called gut hyperpermeability, affects a huge part of the population and is a growing epidemic due to poor food choices, stress, environmental toxins, overuse of NSAIDS, antibiotics, birth control and other medications. Bone broth helps heal gut permeability. The gelatin in bone broth heals the mucosal lining of the digestive tract. A healthy gut is the cornerstone of health. When your gut and digestive system are healed and working well, you absorb and digest nutrients properly. Bone broth is the best thing you can consume to heal and seal your gut. Our liver is so overburdened from the toxic and chemical nature of today’s world. It seems like everything in our world is toxic nowadays – our air, our water, our food and the list goes on and on. Our liver has a huge job to clean all these toxins from the body. The livers ability to detox these toxins efficiently is limited to the amount of glycine available. Can you guess what’s the richest source of glycine? Gelatin rich bone broth! We need to provide ample amounts of glycine to our diet so our liver is able to do it’s job properly. Chondroitin sulfate is a structural component of cartilage and has been found to improve inflammatory conditions. Bone broth also contains large amounts of the amino acids glycine and proline. Both of these amino acids are extremely anti-inflammatory. The specific amino acids in bone broth, glycine and proline, are just the type of amino acids you need to build muscle, repair tissue and lessen inflammation. Bone broth is an excellent source of glucosamine and chondroitin, 2 supplements many people take for joint pain relief. The latest studies have shown that the gelatin in bone broth provides almost immediate relief to joint pain. It’s even reported to provide relief just like taking an anti-inflammatory pill or cortisol. The glycine in gelatin speeds wound healing, helps stiff joints and promotes recovery. Bone broth provides a rich source of minerals and amino acids that supply the body with raw materials to rebuild stronger and healthier cells. 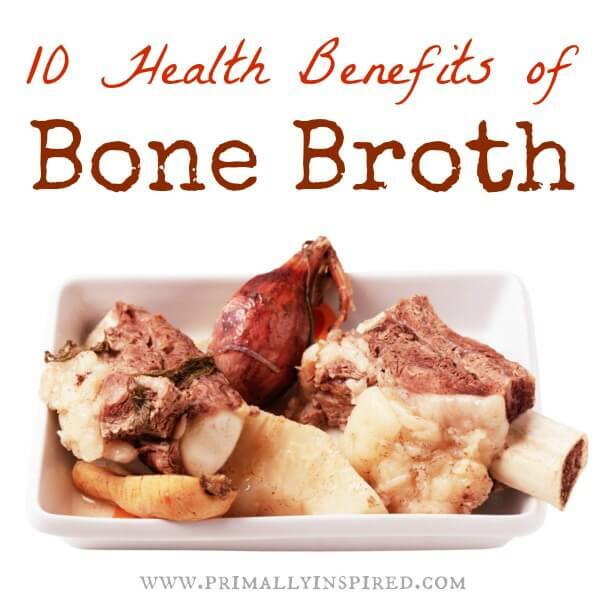 Bone broth also boosts antioxidant activity in the body. This study shows consuming bone broth during a respiratory infection reduces the number of white blood cells, which are the cells that cause flu and cold symptoms. In traditional Chinese medicine bone broth is used to boost the immune system and fight infections. Many people in the U.S. are deficient in one or more minerals due to dietary deficiencies or poor absorption (also known as leaky gut). Our soil is so depleted in minerals so getting these trace minerals through bones is extremely important. As the bones cook in water, minerals and other nutrients leach from the bones into the water. Homemade broth is rich in calcium, magnesium, phosphorus and other trace minerals. Bone broth offers easily absorbed extracted minerals and supports utilization of the minerals by promoting the health of the intestinal tract. The gelatin in bone broth is soothing to the digestive track and actually helps repair the mucousal lining. It also helps break down the protein and fat from foods, making them easier to digest. As we age, our collagen production decreases. Bone broth is rich in collagen, the proteins found in flesh and connective tissues. Skin becomes smoother and more supple when there’s an abundance of connective tissue. Some have even suggested that bone broth helps eliminate cellulite. The large amounts of calcium, magnesium and phosphorus in bone broth helps our bones grow and repair. Research has shown that consuming gelatin before bed helps induce sleep because of the amino acid glycine. Glycine plays an important role in the neurotransmitters within the brain. So not only will ingesting bone broth improve sleep quality, but it will also help reduce daytime sleepiness and help improve your memory during waking hours. Want to learn how to make bone broth? Read my post HERE on how to make a healing bone broth full of rich vitamins and minerals! 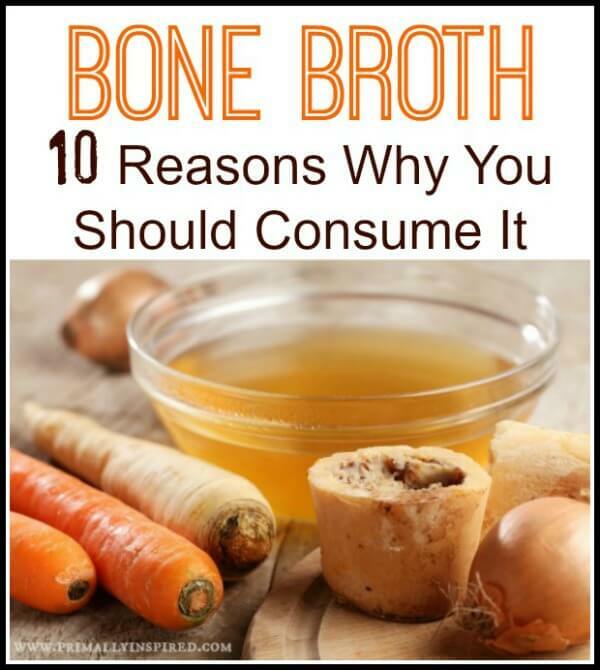 Do you consume bone broth regularly? Hi Kelly, When I buy an organic baked chicken at the store, I save all the bones, skin, etc and boil in water on fairly high heat for an hour or so. When I put into the fridge for later use, it does gel…I mean almost as thick as grape jelly! Is this considered bone broth or just really good stock? Thanks in advance for your reply! I’d say you are probably getting bone broth (but I don’t know for sure), especially since it thickens up so nicely for you. Chicken bones are so small so it doesn’t take nearly as long to pull the minerals out of their bones. You are definitely getting gelatin, that’s for sure! Hi, I just read your question and answer regarding broth. A friend works as a cook for a co-op in the NW, and she is recommending LOW heat and LONG cooking time to draw out all the minerals and nutrients. She slow cooks her bones for 16 hrs on very low heat. What are the benefits of one vs the other way to do it? How do you recommend consuming bone broth? As a soup? Michelle, I usually warm my bone broth, add salt and pepper and put it in an insulated mug and sip on it throughout the day. I also use it as a base for many soups. I sustained a nasty gash to my instep just before Christmas. Luckily I had bone broth in the freezer and today I’m resolving to move to 2-3 times daily ‘dosing’ to assist healing. I was wondering if I should keep the sediment in the bottom of my bone broth jar? If I am using bones from cooked meat do I still need to roast them first? I prefer the term “stock” over “bone broth”; that just seems oogey, to me. I’ve only recently seen “bone broth” used, & have wondered if it was used because the writers didn’t know what else to call it, or whether other languages’ translations equal “bone broth”. And yes, stock & “bone broth” are the same thing. Long & slow, even if you “only” want it for flavor & not health benefits, is the way to go. You get the most out of the health benefits as well as the most flavor & great “mouth feel” of the gelatin, that way. When collagen is heated in water, the triple helix unwinds and the chains separate, becoming random coils that dissolve in water: That’s gelatin. Lots of gelatin, Lois, is a good thing! It melts right back into the rest of the stock when warmed, & gives it a richer flavor/experience. The collagen molecule is too large for our bodies to absorb, but, along w/vitamin C, our bodies use the amino acids in gelatin to produce collagen. It’s magical stuff. I make stock about once a week, and long for an AGA again! It was so simple: roast the bones in the hot oven for flavour, then cover them with water in a pot and put into the slow oven overnight. I live in California now and just the thought of a solid range makes me too hot, but I certainly miss the way it cooked. I make my bone broth by roasting the bones in the over for about 45 minutes, dumping them and the juicy goodness into a crockpot, I then add veggies of choice (usually carrots, onion, celery, garlic and some left over greens from smoothies). I set the crockpot on low for up to 4 days. I then strain it. Once it cools I remove the layer of fat on top and save it in the fridge for the rare occasions I might MIGHT fry something. I then add pink Himalayan salt to each individually warmed cup I drink before bed. We’re lucky enough to be able to use 100% grass-fed/organic bones from a local farm. 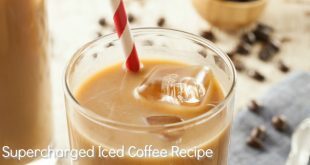 I make at least two crockpots per week and then I can them if I’m going to use as a drink and I will freeze in ice cube trays if I will be using it for soup bases or my Nomato sauce. I’ve read the importance of cooking on low for a longer time frame, basically until the bones almost fall apart, is to retrieve as much minerals and nutrients as possible. We enjoy our broth and feel it is already helping us heal. I made my first batch of bone broth this week and loved it! 🙂 Thanks for the info. Just wondering if elk or deer would work for this. 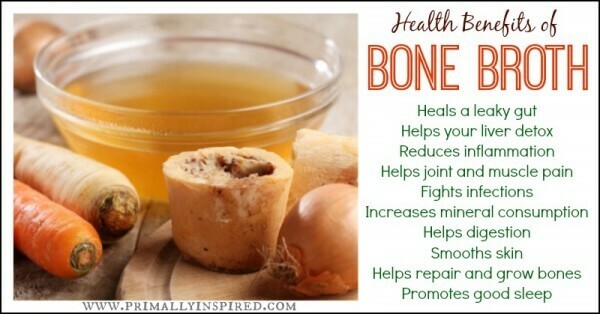 Seems logical that it would… My husband hunts and I would love to use the bones to make some awesome broth. I hope the health benefits remain once it’s canned or frozen because I’m sure I could make an insane amount of broth from one elk!! Any thoughts? Hi Kala! Yes, deer and elk make an awesome bone broth! I have some deer bone broth simmering away in my crockpot right now 🙂 And yes, the health benefits remain if frozen or canned! I am jealous of your elk! Hi Kelly, get thanks for such a great post! 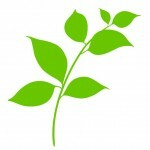 I featured your post on my blog at totallyworks.wordpress.com. Have a nice weekend! I’ve been making bone broth for my two standard poodles. No onions, though. Actually, no veggies. Just a whole chicken simmered over two days – cooled after day 1, refrigerated, day 2 fat skimmed, chicken meat removed and reserved for recipes, everything else back in the pot and simmered again. OK, so I’ve been missing something. Me. Abby and Brie are going to have to share. Hi Misty! Great question. 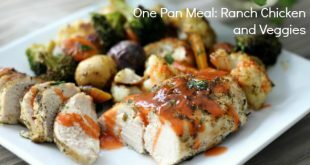 I would encourage you to read The Paleo Approach (Here’s the link: http://amzn.to/1rTj56N). It’s an AMAZING book all about how to reverse autoimmune disease by healing the gut and gives you detailed plans on how to do it. It’s been a lifesaver for me. The first part of the book is all about the science behind it (the author is a doctor and she said the latest research and science is now telling us that most health issues, including autism and thyroid diseases, are actually autoimmune diseases. If you heal your gut, you can heal these autoimmune diseases). If you are not into all the science of all the hows and whys, skip to the second half with all the guides, plans, etc that tell you how to heal your gut. Most people go on a very strict removal diet for about 30 days and then slowly add foods back in once the gut is healed. 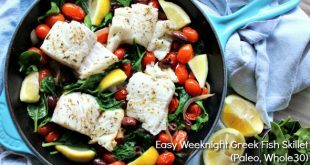 We healed my husband’s leaky gut in about 30 days once we figured out what foods we had to avoid. Now he can eat most of the “problem” foods in moderation with no problems. I feel bad referring you to a book without answering the question, but I seriously couldn’t begin to answer it without writing a book myself lol. And this book does such an amazing job – a million times better than I ever could. It’s one of my favorites. I have been making bone broth for awhile now.I was diagnosed at birth with Ichthyosis & my dr felt like bone broth would be beneficial(in more ways than one). Sometimes it is clearer than others. Also some batches have more sediment in the bottom. Should the broth be almost clear with a yellow tint? And should there be sediment? I did learn not to stir because that will call broth to become cloudy. Thanks for any info. Hi Laurie! My chicken broth is a nice golden color and my beef broth sometimes gets very dark brown! The sediment is just coming from the remaining bits that didn’t get strained out. That sediment never bothers me, but it you want it very clear, you could always strain it twice or three times with a very fine mesh strainer. Hope that helps! Thanks Kelly for your trouble shooting suggestions as to why my bone broth didn’t gel. I think I used too much water and didn’t cook it long enough. I have to use a crockpot and noticed the broth was boiling for the last 2 hours of cooking. Should I put it on the warm setting at the end instead to avoid the boil? Thanks. Yes, that would be a good idea, Andrea! It sounds like your crockpot runs on the hot side. What bone are you all using for BB? I’m new to this but wanting to try. Thanks. Hi Brianne! 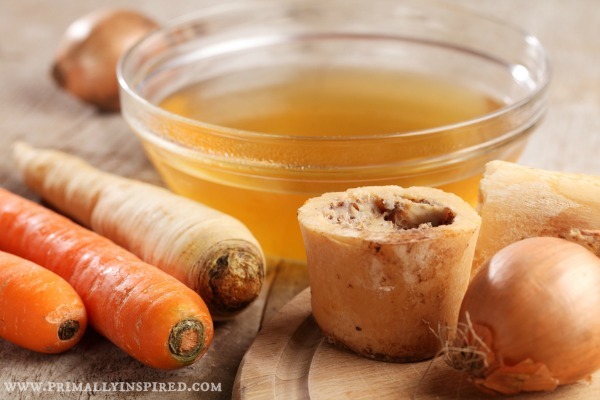 If you are doing beef bones, the knuckle, patella, femur, and feet bones have been shown to contain the highest concentration of white and red stem-cell marrow, as well as high levels of collagen – one of the major benefits of drinking bone broth! For chicken, I typically just use a whole chicken carcass after I’m done cooking it.